With over a dozen of the industry’s most effective laser equipment, Dr. Deborah Farrell is able to solve many different types of concerns and aesthetic challenges. She is constantly bringing in the newest, proven equipment to stay on the forefront of laser medicine. PicoSure™ is just one example, helping patients to get rid of unwanted tattoos faster than alternative tattoo removal procedures. Give your skin a bright and refreshed appearance. Our laser skin rejuvenation procedures are designed to restore a beautiful and youthful complexion. Is your skin beginning to look dull or aged? Fractional Laser Treatments are a great way to restore a brighter, more youthful appearance of your skin. The Vbeam Perfecta pulsed dye laser (PDL) is ideal for correcting common skin concerns such as sun and age spots, freckles, facial veins, pigmentation, and rosacea. Those thin, visible veins can be a pain to cover up and constantly worry about. With our spider vein treatment, you can enjoy beautifully clear skin. Effectively treat skin pigmentation issues such as dark spots, sun damage, and more with the ProLite®, V-Beam®, ActiveFX™, PicoSure™, and MedLite®, laser treatments. The world is full of people with tattoo regret. If you have some ink that you’ve been wanting to get rid of, PicoSure’s laser tattoo removal may be your fastest and most effective option yet. Our laser acne treatment is safe for all skin types and targets the underlying cause of acne to achieve a solution for acne and acne scars. Reduce the appearance of scars and reveal the beautiful skin beneath with our laser scar removal procedure. 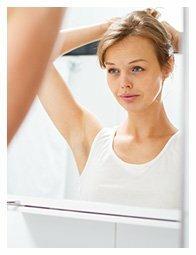 For effective, long-term removal of unwanted dark hair, there is no better option than laser hair removal. With little discomfort and minimal downtime, you can enjoy smooth, hairless skin in just a few sessions.